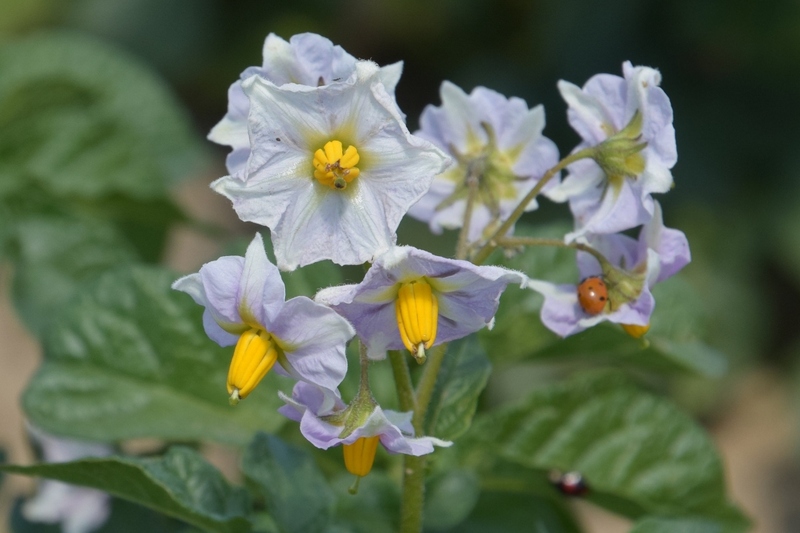 Potatoes (Solanum tuberosum): growing, planting, caring. Mashed, fried, baked, stuffed, or stewed...a potato can be a garden chef's best friend. Luckily, they're no hassle to grow. The potato is a perennial grown like an annual that does well in most soil types, provided you pay mind to the crop rotation in your garden. 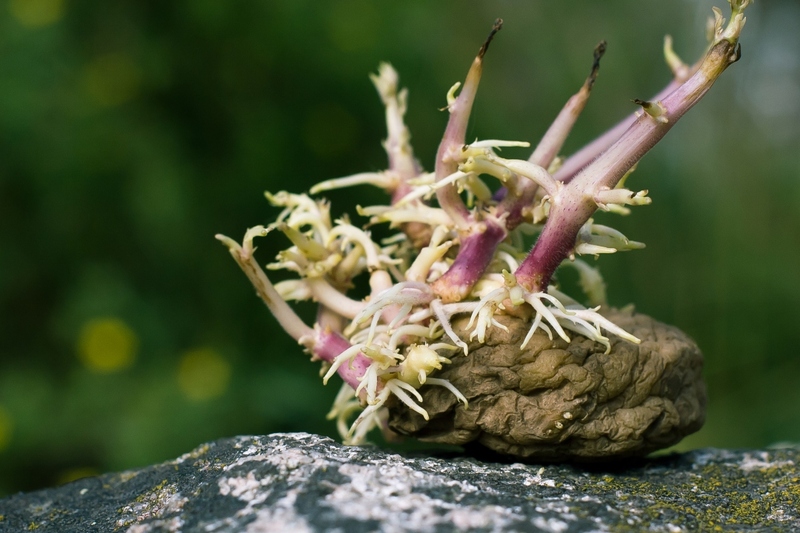 The edible part of the potato is the tuber—harvested after the leaves begin to wilt in the case of maincrop potatoes, while new potatoes are dug up just after flowering. 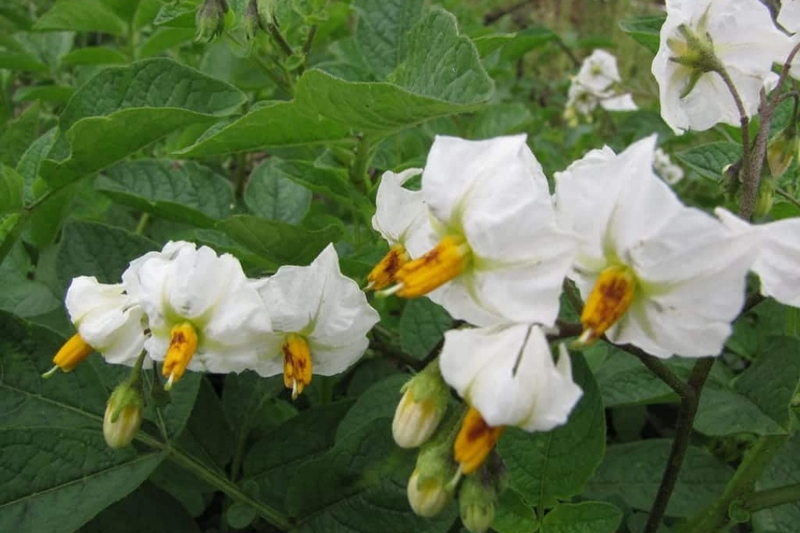 Solanum tuberosum is a species of herbaceous plants in the Solanaceae family, originating in the Andes — it's the famous potato! They flower white or pink in the spring and have alternate, imparipinnate leaves that grow to 15 or 20 cm. Obviously, they produce potatoes. Don't plant your potatoes too early — wait until freezing is over and the soil reaches 10°C at depth. You may start during mid-March in mild climates, 15 to 45 days later in other regons. The soil should be loose and turned (by you and a hoe or by earthworms that came to eat all the delicious young compost) and devoid of any stones that disturb the development of tubers. An organic soil-enrichment product should ideally by added before the end of winter. Plant your bulbs 10 cm deep, in rows spaced at least 60 cm apart, leaving 40 cm of space between each plant in the row. 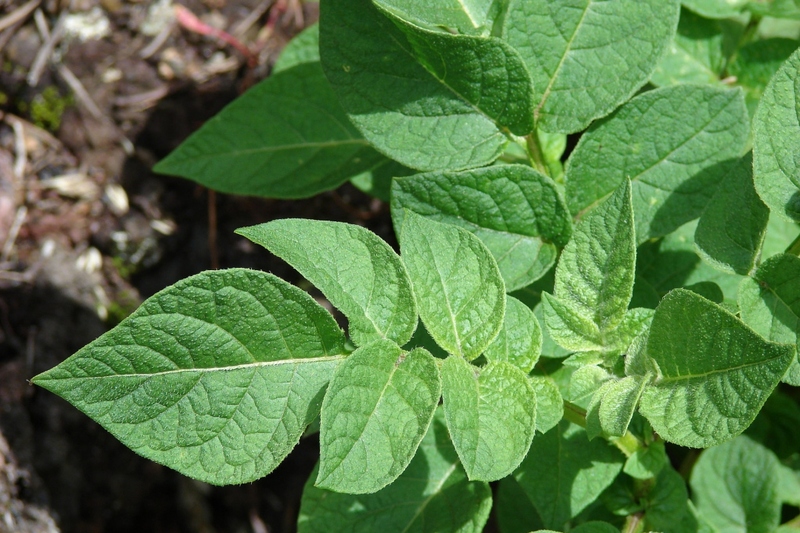 Alternative planting — it is also possible to simply place potatoes on top of the soil and then cover them with 15-20 cm of compost, mulch, or a mixture of both. Potatos must have mounds of earth built around them once the plants reach 20 cm tall in order to multiply the tubers. Take soil from between the rows to form these mounds. If you're growing under mulch, there's no point. Hoe between rows from time to time to limit competition. Potatoes don't need to be watered, except in case of drought during flowering. In this case, water in the morning or the evening and don't wet the foliage, which could encourage mildew. Harvest occurs 2 months after planting, towards the end of flowering for new potato varieties, and after foliage wilts for other. Dig up the tubers without damaging them using whatever tool that's best for you — a broadfork, a trowel, etc. Let your potatoes lie flat to dry for a few hours before storing them, and consume damaged tubers quickly. If you're growing without mulch, you can pull the plants up from time to time to harvest the best potatoes while leaving the others to develop. You can find two fairly frequent parasites on potatoes, both of which can be dealt with simply. Mildew, unfortunately very common, causes brown marks on the leaves. Protect your plants by avoiding watering the leaves, even sheltering them from rain if possible. In case of attack, you can treat the leaves with a solution of water (1 liter) with 5 grams of sodium bicarbonate and a bit of black soap. Doryphores, or Colorado potato beetles, have a very notice orange color and must be removed manually if growing organically. Prioritize eliminating adults, as they will lay dozens of eggs in no time flat. If growing under mulch, keep rodents away using a liquid manure made from 10 liters of water and 1 kilogram of elderberry leaves, macerated for a week.